World Trade & Who Needs the Flash Cards? The Independent reported that an EU Official said that Juncker used ‘‘brightly coloured, simple flashcards” to explain trade to Trump during the meeting. The EU official said ‘each card had at most three figures about a specific topic. While these remarks are deeply offensive, what they really reveal is how much EU officials prefer to promote propaganda as well and create their own FAKE NEWS to distract people from reality. It has been Europe that delayed the TTIP deal and made it completely unworkable. What they are NOT explaining to people is that there is another MAJOR PROBLEM with the EU structure being exposed by trade negotiations and why Britain who run as fast away as possible. All 28 EU countries have a common external tariff, which is collected by the national customs authorities. This is then paid into the EU budget. This tariff produces around €20 billion euros per year. Now enters the great disparity of economics. Germany produces 25%+ of that tariff – some €5 billion. It was true that the goal of the EU was to eliminate tariffs and champion free trade among member states as takes place in the USA. This is where we get this slogan of the “single market” for the more than 500 million EU citizens. That all sounds very nice. 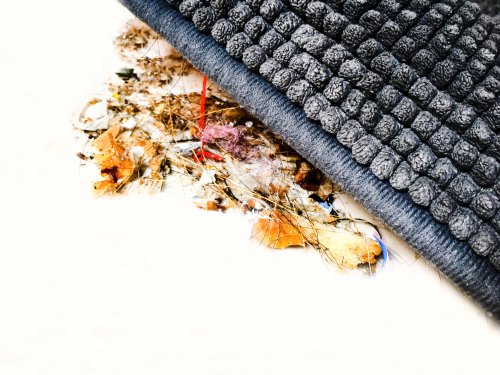 The dirt is always found swept under the rug. Creating a “single market” was beneficial primarily for Germany who has an export-economic model. Germany’s car business is its lifeblood. It survives by selling cars to the world. So naturally, the euro was a dream come true for Germany. The euro and single-market eliminated FOREX risk for its customers and German producers which would result in more sales. That was a win-win for Germany, as the sales pitch went. However, the creation of a single government has introduced a lot more problems that nobody bothered to consider. Germany clearly dominates the foreign trade of the EU. It exports to the world beyond the EU. Without Germany, the EU would flounder and be saddled with trade deficits. However, now we introduce the EU government. Suddenly, Germany cannot conclude its own trade treaties outside the EU. Everything must be negotiated by Brussels through the customs union. Now we begin to look beyond mere currency. I have warned that one-size does not fit all as people had expected would emerge from creating a federalized EU. The second largest player in the EU is France. Because of crazy unions and socialism that has dominated France, the French are not the bastion of production and instead have a perpetual foreign trade deficit. Its socialistic policies have produced chronic protectionist policy that results in higher wages and higher costs of production that are simply uncompetitive even within the EU. Therefore, France is always at odds with Germany when it comes to trade deals for the EU. 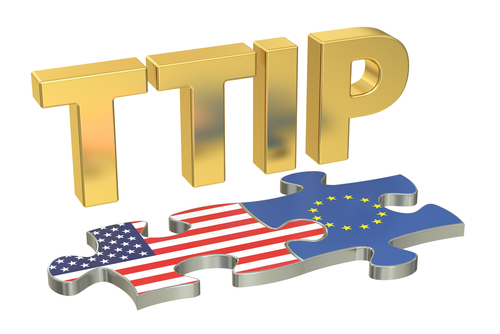 In actual negotiations under the Obama Administration on the TTIP deal with the EU, the process dragged on from 2013 to 2017. Each of the 28 member states had their own protectionist issues. This delayed negotiations endlessly and it demonstrated that the EU structure really did not work. Each country wanted its own deal, but it had to negotiate collectively. So France could prevent Germany and likewise other members could block France. This is the reality of what President Trump walked into. 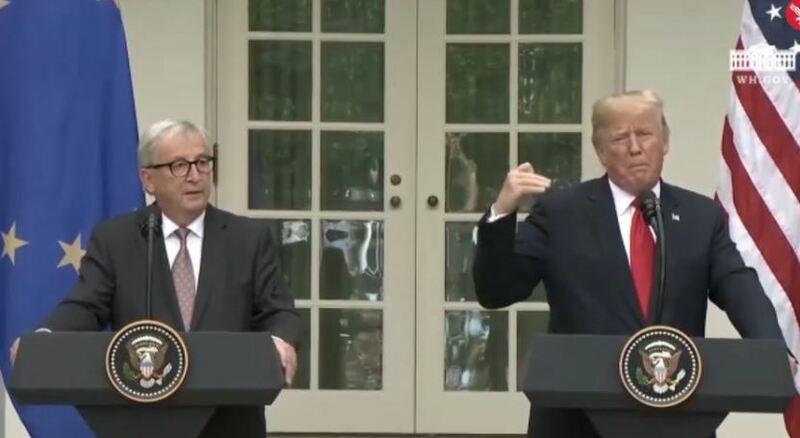 The audacity that Juncker had to explain trade to Trump with flash cards was probably the most arrogant statement I have ever read from a government that is clueless. Trying to negotiate trade with the EU when its own 28 member states fight with each other is impossible. Already, Trump offered to eliminate all tariffs. Germany licked its lips. France said NO WAY!!!! Who needs the flashcards? The only possible tactic that Trump could take to break this deadlock was to threaten wholesale tariffs. The Europe-wide tariffs were the only possible way to deal with the situation that probably still will not lead to some universal commitment to real free trade on either side of the Atlantic. It is Europe that is burdened with protectionism that has for decades put up a significant renaissance against free trade. Trump’s favorite slogan, “America First,” has gained all the headlines and people PRESUME he is starting some protectionist war. In reality, there is NO free trade whatsoever and this issue of trade is like someone who punches you in the face, but the police charge you with assault for hitting the person in retaliation and ignores any evidence that they hit you first. TTIP was a complex mess and by no means would it actually create free trade. It was all about protectionism simply labeled free trade. The EU structure is hopeless. It wants to pretend it is a “single market” but it cannot negotiate any trade deal because it is 28 members who have to unanimously agree and that took 4 years to reach TTIP and a complete mess. Of course, the media generally at large just like to bash Trump. Why bother explaining the real nightmare of tariffs and duties which are merely tariffs in sheep’s clothing.